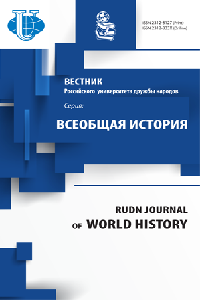 Journal "RUDN Journal of World History" was founded in 1992. The aim of the journal is to increase the efficiency of research work in the field of human knowledge through the development of scientific and editorial and publishing activities, as well as dissemination and testing of advanced methodologies and the latest achievements of historical science in order to implement the humanitarian mission of modern classical university. The journal is intended for publication of the results of independent and original research scholars, faculty, and staff of the University and other research centers in the form of articles, review materials, scientific reports, bibliographic reviews on specific topics and research areas. The magazine covers all areas of the study of history from antiquity to the present. Based on actual problems of modern historical science, a priority for the journal is to publish research on the problems of Africa, Asia and Latin America. 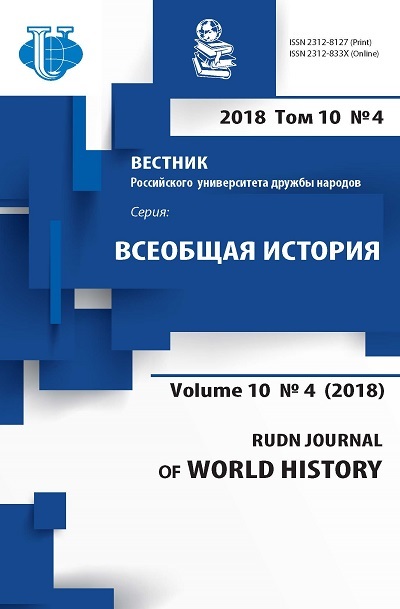 As part of the magazine is also crucial issues related to the socio-political and cultural development of world civilizations of East and West, from antiquity to the present time; and considerable attention is paid to comparative analysis and the role of Russia in the context of the existence of civilizations "East-West". Kirillina S.A., Safronova A.L., Orlov V.V.